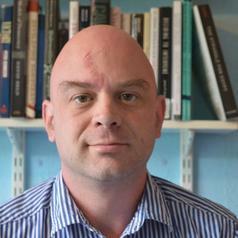 Robert Pee obtained his PhD from the University of Birmingham in December 2013 and has taught on undergraduate courses in American History and the Politics of US Foreign Policy at the Universities of Birmingham and Warwick. His research focuses on US national security strategy and foreign policy during and after the Cold War, including US covert action, the ideological and geopolitical drivers of US democracy promotion, the role of alliances between state officials and US civil society elite groups and organisations in the generation and implementation of policy, and US policy towards democratic change in allied authoritarian states from the administrations of Ronald Reagan to Barack Obama. He has published on past and current US democracy promotion in the 49th Parallel e-journal and has worked as a guest editor for US Studies Online, and has presented his research at conferences held by the Transatlantic Studies Association and the British Association for American Studies. He has recently completed a monograph examining the role of geopolitical and organisational factors in US democracy promotion, Democracy Promotion, National Security and Strategy: Foreign Policy under the Reagan Administration, to be published by Routledge.